Binance’s Launchpad is preparing to launch their 3rd ICO. The exchange’s two previous ICOs (BitTorrent and Fetch.ai) were highly successful. Both reached their fundraising goals within minutes and saw gains of 6-10x their ICO price. Next up on the list is Celer Network – an exciting new project that aims to help blockchains achieve ‘internet level scalability’ by using off-chain scaling techniques to reach billions of transactions per second in a secure and trusted environment. The US-based company has a goal of raising $34million, $30million of which has already been raised privately during the seed and private sales. Their token sale is set to launch on March 19th through Binance’s Launchpad platform. Celer Network is developing an off chain scaling solution to scale the various blockchains that will run on its platform. Off-chain (or layer 2) scaling solutions are theoretically superior because they allow the network to process smaller transactions off the blockchain, then bundle them into one single transaction that gets recognized On-Chain. By doing this, they can reduce the transaction bottleneck that occurs on the main chain while increasing the operational capacity of the system as a whole. cRoute– This uses DBR (distributed balanced routing) to distribute payment traffic in a decentralized and trust-free manner. cRoute can achieve 15x greater throughput than Raiden or the Lightning Network. cOS– This is the off chain Dapp development framework. It handles operations, storage, off chain disputes, and tracking. cChannel– This is a sidechain suite that is supposed to provide liquidity and assist rapid state transitions. The eChannel layer makes it possible for gaming applications, exchanges, insurance platforms, and other high throughput applications to function on Celer Network. A CELR token is an ERC20 token built on the Ethereum blockchain. It is also the native token of the Celer Network that will be sold during the ICO. About 6% of which will be available for the token sale. ICO dates are from March 19th to 24th. Tokens will be distributed to investors 15 days after the ICO closes. 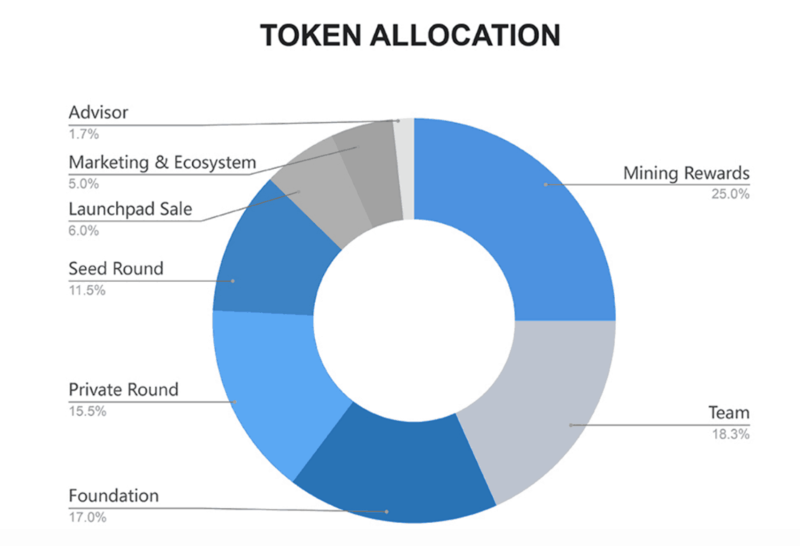 So far, 11.5% of the tokens have already been sold in the seed fundraising stages. A further 15.5% of the token supply was sold in a private sale. PoLC is a virtual mining process that provides liquidity for the off-chain ecosystem. Users who lock up CELR tokens for some time are later rewarded with more CELR tokens. LiBA allows off chain service providers to request liquidity through crowd lending (Interest rates are negotiated). There is a ranking system for lenders based on a “happiness score.” The score is determined by the interest rate, the amount of provisioned liquidity and the amount of CELR staked. As a lender, the more CELR you stake, the higher priority you have to provide liquidity to off chain service providers. SGN is a unique side chain that allows any user to submit their state before going offline to have it protected for a period of time. Users pay a fee for this protection. CELR token holders can stake their tokens to earn service fees for providing protection. The Celer Network team consist of highly experienced founders who are each accomplish academically, having received PhDs from UC Berkeley, Princeton University, and MIT. Mo Dongm, Co-Founder: Before founding Celer, he was the founding engineer and product manager at Veriflow, working on formal network verification. He is an expert in applying algorithmic game theory to protocol design and teaches full-stack smart contract courses. Junda Liu, Co-Founder: Junda is a Ph.D. recipient from UC Berkeley. Prior to founding Celer, he worked at Google in 2011 to build its data center-networking infrastructure. He was also the founding member of Project Fi mobile service in 2014, and the Android Tech Lead for carrier services. Xiaozhou Li, Co-Founder: Xiaozhou is also a Ph.D. recipient from Princeton University. He has published works in distributed systems, networking, storage, and data management. These works have become core components for Google Tensorflow, Intel DPDK, and Barefoot Deep Insight. Qingkai Liang, Co-Founder: Qingkai got his Ph.D. from MIT. In his academic career, he focussed on various learning and control problems that emerge from networked systems, exclusively on online learning algorithms in adversarial networks. His work has been successfully implemented at Raytheon BBN Technologies and Bell Labs. Celer Network first released their whitepaper in June 2018. Since then they have made significant progress in the development of the project, most of which can be viewed on Binance’s Research report which reveals their progress on their private GitHub accounts. 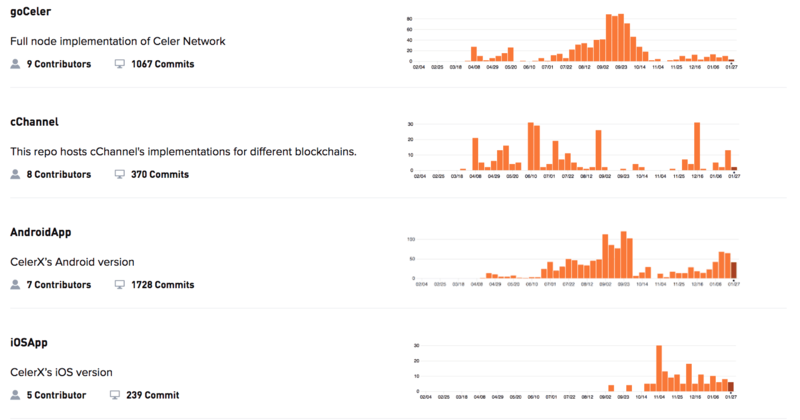 As their repository shows, they’ve already made over 1,000 commits for the full node implementation of Celer Network, over 1,000 commits for the Android app, and 239 commits for their iOS App. For 2019, Celer is focused on releasing and upgrading the different layers within the network. Their current roadmap focuses on quarter 1,2 and the second half of 2019. 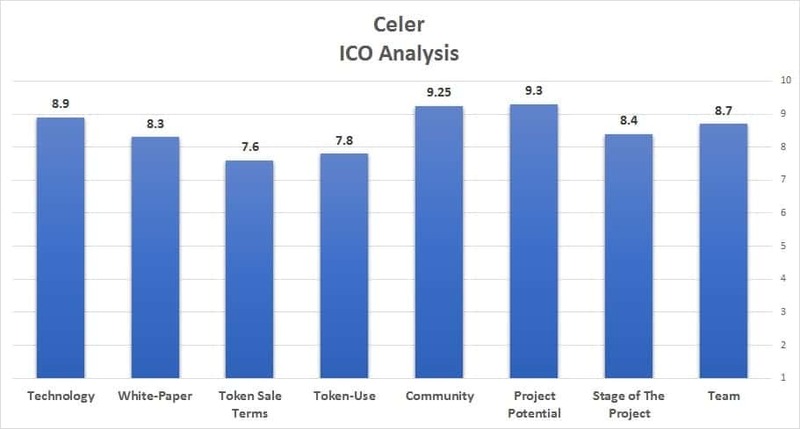 Short Term Project Potential: The Celer token sale will be conducted on the top of the Binance Launchpad, this has already proven itself to be a major advantage in the current bear market with the latest tokens sales from BitTorrent (10X in ATH) and Fetch AI (5X in ATH). Use case: The most significant progress that has occurred in the last year is the emergence and adoption of off-chain solutions (Lightning Network, Raiden, Plasma, etc.). These solutions solve one of the main pain points suffered by distributed ledger technologies, scalability. The fact that only 4-7 Bitcoin transactions per second can be processed is a significant obstacle in the path to mass adoption. If Celer is able to execute their vision and overcome the existing solutions, it will have a substantial impact on its long term value. Strategic Partners: Celer has succeeded in creating very impressive partnerships with some of the most influential institutions in the crypto market: Pantera, DHVC, FBG Capital, Fenbushi Capital, 500 Startups, NGC, Waves and many more. Competitors: scalability is a subject that has been observed for a long time in the crypto industry, so there are some serious competitors in the current market. Of course, the most famous one is the Lightning Network (LN). LN provides an off-chain solution to the Bitcoin network. It currently has almost 4K nodes, 32.3K channels, and a daily capacity of more than 3.1M USD. It will not be an easy task for Celer to integrate into the off-chain solutions market and to get mass adoption. The post Celer Network (CELR): ICO Review and Rating Ahead of Token Sale (Binance Launchpad) appeared first on CryptoPotato.